Even a couple months after he got his appointment as Pittsburgh Pirates pitching coach, Spin Williams still got choked up, he told The Beaver County Times. After all, it was his first time as a full major league pitching coach, one of only 30 such jobs in the world, he told The Times that January in 2001. "Ever since it became obvious in 1981 that I wouldn't make it to the big leagues as a pitcher, my goal as been to get there as a pitching coach," Williams told The Times. "I finally reached my goal and I couldn't be happier that it came with the Pirates. I'm so excited that I don't know if I'll ever calm down." Williams became pitching coach that year for the Pirates after more than two decades in the organization, including six seasons spent as bullpen coach in the majors. He eventually spent five seasons as Pirates pitching coach. He continues his work in baseball in 2018, doing it in the Nationals system. Williams' career in baseball began in 1979, signed by the Pirates as an undrafted free agent out of Winona State University in Minnesota. Williams started in the rookie Gulf Coast League. He moved to single-A Shelby and AA Buffalo in 1980. 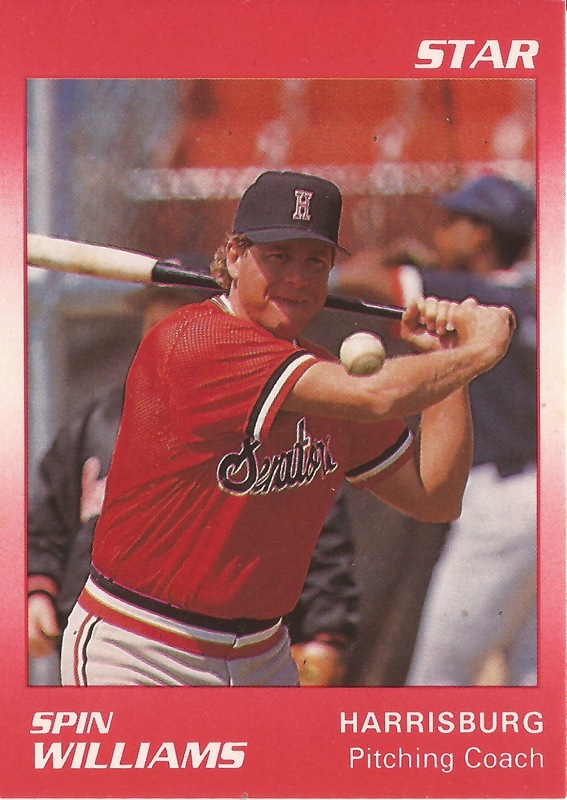 Then, in 1981, he got just three outings at single-A Greenwood, ending his playing career. That year at Greenwood, though, also marked the start of his coaching career. He served as pitching coach there for three seasons. He made AA Nashua in 1985, then AAA Buffalo in 1992. It was in 1994 that Williams made his first jump to the majors, as Pirates bullpen coach. In May 1999, Pirates reliever explained to The Times the mentality of the team's relivers and referred to their bullpen coach. "It's like Spin Williams always says," reliever Jason Christiansen told The Times, "a bullpen is one big family." Williams made the move up to pitching coach for 2001. He stayed through 2005. After his first season, Williams looked for his staff to improve. "Sooner or later, you have to stop growing and start winning ballgames," Williams told The Pittsburgh Post-Gazette. "That's the message I want to send. We've got to take it to the next level." The Pirates didn't bring Williams back for 2006. Williams then moved to the Nationals system as an adviser. For 2014, he's serving as Nationals minor league pitching coordinator. He continues with the Nationals in 2018 as senior adviser for player development.